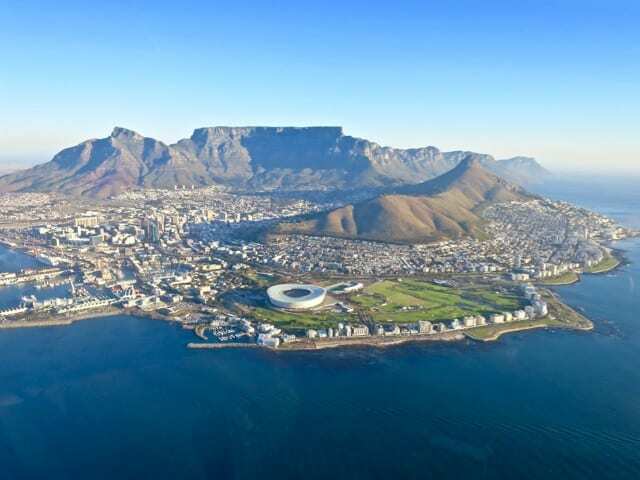 When I published a post a while back on airports you must book a window seat for, I received various comments from readers saying that I should include Cape Town in that list. I’d flown to Cape Town quite a few times previously but I’d always arrive at night (direct flights from Amsterdam arrive in the evening) so I never got to check out the view from the plane window. That changed on my last trip. Instead of flying direct from Amsterdam, I flew via Johannesburg. I arrived in Cape Town in the late-morning and this glorious plane window view awaited me. The approach into Cape Town International was indeed amazing: we passed the blue expanse of False Bay, and in the distance, the iconic Table Mountain and Devil’s Peak loomed large. Good thing I had my iPhone ready to capture this view! 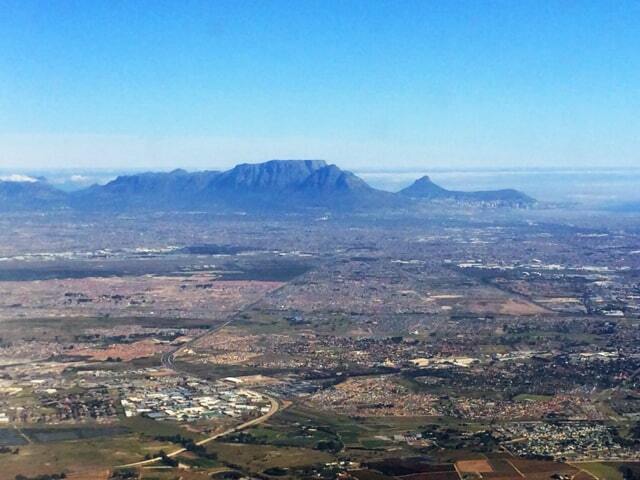 An aerial view of Cape Town from the approach into Cape Town International Airport. Update: on my last trip to Cape Town, I got lucky again! It was a cloudy day and I didn’t think I would get to see anything after take-off from Cape Town International. Oh, I was so wrong! As soon as the plane ascended through the thick clouds, this amazing view of Table Mountain appeared. My jaw dropped in awe! 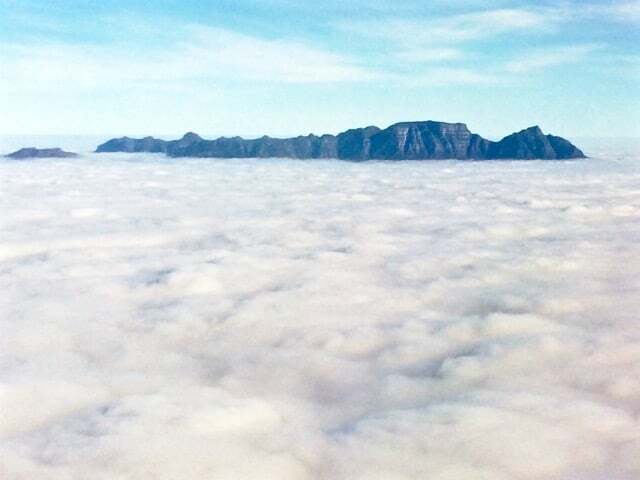 A phenomenal view of Table Mountain sticking out above the clouds. If you’re visiting Cape Town and you’d like to see the city from the air, I recommend a helicopter tour! Seeing Cape Town from a helicopter is just one of those magical experiences that will stay etched in your mind forever! Book your Cape Town helicopter tour! View of Cape Town from the helicopter tour. Amazing view, definitely worth booking the window seat for!